The trailer for Avengers: Endgame has been out for a few days now, and while more than a few people have watched it, is there a huge plot detail hiding in plain sight that people have missed? Well, yes, yes there is. In fact, there’s probably more than one. Marvel absolutely loves teasing their fans, and the anticipation behind this latest trailer was greater than ever, so it should come as no surprise it comes packed with hints, clues, and red herrings. As the view count on the trailer continues to reach heady new heights, heady new theories are emerging almost daily, and the latest hypothesis is not one to be ignored. As you may remember (and if you don’t – spoiler alert), pesky Thanos wiped out half of all living creatures at the end of the last Avengers film, which was a bit of a bummer. Ever since, anyone who’s not a fan of Thanos has been scratching their head as to how our heroes are going to come back from this. Anyone who was a fan of Thanos probably just sat back and grinned, the sadists. The prevailing theory surrounding the Avengers’ comeback seems to hinge on time travel and alternate dimensions. 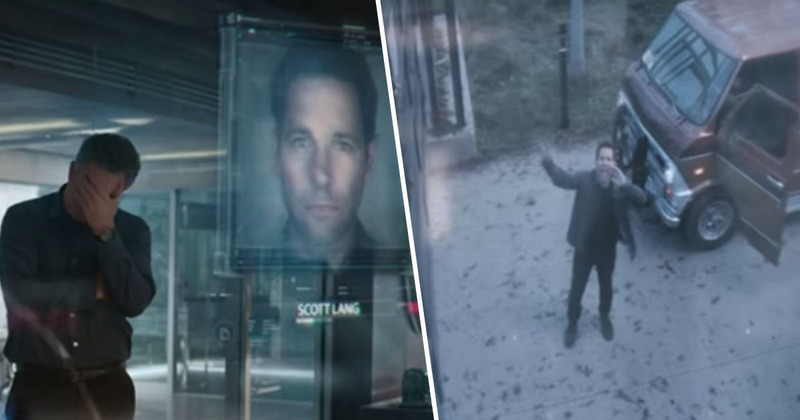 Given that Scott Lang, aka Ant-Man, played by the heavenly Paul Rudd, was last seen in the Quantum Realm (in Ant-Man And The Wasp, at least), it was certainly a nice surprise to see him back on solid ground at the end of the new trailer. Naturally, some viewers have done a bit a digging, and using the sleuth-like detective skills and the handy ‘zoom’ tool, they think they’ve spotted that actually this is an old message. 35 years old be exact. 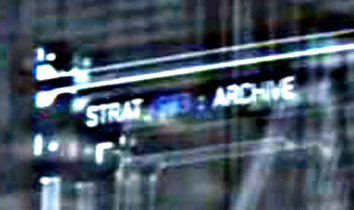 Above the footage of auld Lang syne outside the door of Avengers HQ, in the top left corner, you can clearly see the word ‘archive’. Zoom in a bit more, and you can make out the numbers 1983. So are Cap and Widow watching an archive video like a funny old Vine? Or – as is the theory here – are we seeing them in 1983, having gone back in time to stop S.H.I.E.L.D. from collapsing (Cap is wearing his ‘Winter Soldier suit’ and Black Widow is blonde, it should be noted), and bonnie Scott Langford – having used the Quantum device to travel back and forwards in time – has turned up with his knowledge of how to defeat Thanos and save the day? Hi, is anyone home? This is Scott Lang, we met a few years ago at the airport in Germany, I got really big. I’m Ant-Man, I know you know that, that’s me, can you buzz me in? Is this happening after the fracas in Germany? Or is that a ruse and we are in 1983, and the Avengers are aware that they’ve travelled there from the future? On the other hand, maybe Avengers HQ is located at 1983 Archive Street, and we are just seeing Scott rock up for a bit of a sesh with his buddies, who knows. Hopefully the Russo brothers do, at least. Avengers: Endgame will hit UK cinemas in the UK on April 26.